Becker brings up a lot of very good points about all the excess belongings we all own and made me think again that I need to pare down the stuff in my home. I agree with much of what he says about excess belongings actually creating stress. I hate clutter anyway, and listening to this book got me motivated again to try to cull more unneeded stuff from my home. I have over the past year or so been really trying to weed out unneeded items and I’m sure I still have a lot more, but the one place I knew I could clean up was my crafting supplies. This book motivated me to tackle my crafting supplies and get them organized and weeded! 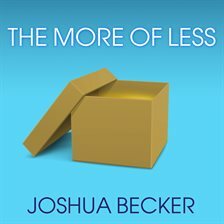 I did not listen to the last 2-3 chapters … the author was getting into how to get your kids to agree to/live with minimalism. I think, had I listened to this book when my children were much younger, I could have worked with them to bring them around to this way of thinking. But, they are teenagers and at this point I think they will have to figure this out for themselves!